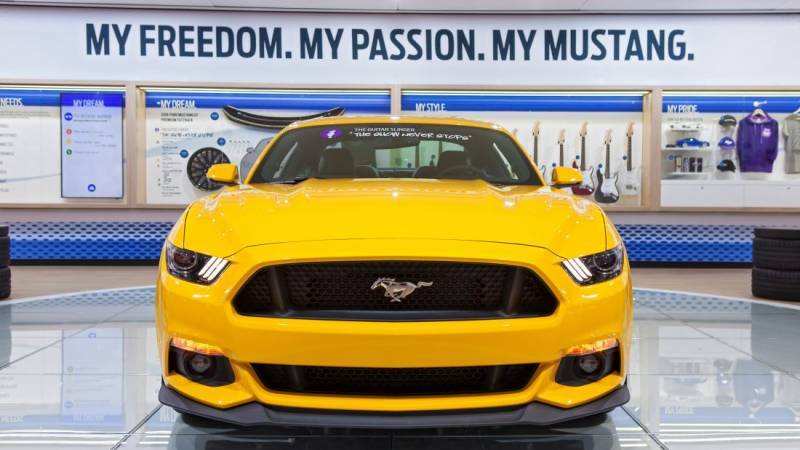 Since its birth in 1964, the Ford Mustang has grown into an iconic American car. With its aggressive yet stylish profile and sporty performance, this model is perhaps the epitome of a pony car. For 2017, the Mustang retains some exterior and interior styling elements of its early days. 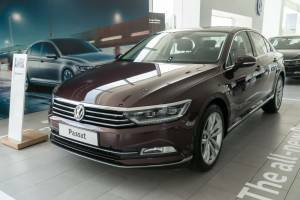 Of course, this edition is also loaded with the latest digital technology, such as the SYNC 3 infotainment system with navigation and satellite-based radio service. In the performance department, the 2017 Mustang offers a lineup of four engines, including the compact EcoBoost I-4 unit. The Brembo brakes, SelectShift automatic transmission and Drive Mode boost the capabilities of this versatile sports car. Staying true to its original design, the Mustang rolls on a conventional rear-wheel drive. The 2017 Ford Mustang offers a lineup of 10 stylish trims. Equipped with a V6 engine, the Fastback is the base edition that comes with a starting price of just above $25,000. If you want to cruise on the highway with the roof down, you’ll have to dish out more than $30,000 for the V6 Convertible model. Priced a little above $35,000, the GT Premium and EcoBoost Premium are also available in convertible models. If performance is a top priority for you, then consider driving the Shelby GT350R, which starts at over $62,000. Featuring a twin-scroll turbocharger, the Ford Mustang’s 2.3 L EcoBoost engine whips out 310 horsepower and 320 pound-feet of torque. Two air chambers and a turbine contribute to such impressive performance for this compact I-4 engine. With the 3.7 L Ti-VCT V6 engine, you get easy access to 300 hp and 280 lb-ft of torque. Installed only in the GT editions, a 5.0 L V8 engine cranks out 435 hp and 400 lb-ft of torque. For the ultimate performance on the track, you can select the 5.2 L Flat Plane Crank V8 engine that dishes out 526 hp and 429 lb-ft of torque. A six-speed manual transmission system adds a sense of nostalgia to the Mustang’s cockpit. You can also select the optional TREMEC manual transmission to enjoy even better customization for shifting gears. The SelectShift automatic transmission offers six gear ratios that are adjusted without much of your input. Paddle shifters make it easy to control the gear sequences in this signature automatic transmission. Another high-performance installation in the Mustang is the Drive Mode system. With the flick of a toggle switch, you can activate one of four settings. The Track Mode should be turned on when you’re driving at fast speeds on an open highway. The Snow/Wet Mode improves traction on slippery surfaces. Of course, the Mustang retains a classic rear-wheel drive that’s designed for fast takeoffs and rapid acceleration. Constructed to resist overheating in extreme conditions, the signature Brembo brakes will bring this agile Ford to a stop on a dime. The AdvanceTrac with Electronic Stability Control (ESC) is another technology that provides plenty of leverage for slowing down and balancing this lively sports car. When fitted with the MagneRide Damping system, the Mustang offers a smooth ride even on bumpy or rough roads. This innovative suspension system includes hydraulic gas-pressurized shock absorbers that are very effective at absorbing harsh impacts. For a powerful sports car, the Ford Mustang offers good efficiency for high-speed cruising and daily driving. 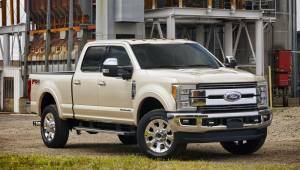 When running on the EcoBoost engine and the automatic transmission, this model gets up to 30 mpg on the highway and 21 mpg in the city. However, keep in mind that this compact turbo engine is designed to run on premium fuel. Rated at 27 mpg on the highway and 18 mpg in the city, the Ti-VCT V6 engine also has quite an economical design. This six-cylinder engine works well with regular fuel, so there’s no need to fill the car’s fuel tank with any higher grades of gas. Powered by radar sensors that scan the surroundings for approaching vehicles, the Blind Spot Information System (BLIS) lets you safely zigzag in between lanes. Also using radar technology, the Cross-Traffic Alert can identify a car that’s up to 45 feet behind you. If you need to let your hands and feet rest during a long drive, simply turn on the Adaptive Cruise Control. This cruise control system can keep a fixed distance to a vehicle that’s directly in front of you. If a front crash is imminent, you will hear loud beeping noises in the dashboard. Visible alerts will also appear on the head-up display (HUD) on the windshield. As a last resort to avoid an accident, the Brake Support will help you bring the vehicle to a complete stop. Besides having several accident-avoidance features, the Ford Mustang offers great passive safety amenities. The Safety Canopy System manages the inflation of the curtain air bags during side collisions. Dual-stage air bags protect you and the front passenger in the event of a front crash. Additionally, the front row includes air bags that deploy at the knee level. Failure to buckle up will prompt the Belt-Minder alert to turn on. If the Mustang is involved in an accident, then the SOS Post-Crash Alert System will automatically turn on to provide some immediate help for distressed occupants. The Mustang also has advanced security features such as the Securilock Passive Anti-Theft System, perimeter alarm and illuminated entry. As you take command of the Ford Mustang’s sporty cockpit, you should turn on the SYNC 3 infotainment system. This patented multimedia console includes a capacitive touch screen that’s easy to see and browse. GPS navigation software and other applications are accessible through the SYNC portal. The Mustang offers access to premium entertainment channels such as SiriusXM Satellite Radio and HD Radio. Featuring a dozen speakers, the Shaker sound system fills the car’s entire cabin with crystal-clear acoustics. Supporting the Siri Eyes Free technology, the SYNC suite is fully compatible with iPhones. For decades, the Ford Mustang has been involved in a fierce but healthy rivalry with the Chevrolet Camaro. With a lineup of 10 models, the Mustang surely offers more options than the Camaro, which is only available in five editions. When it comes to performance and handling, the Mustang also beats the Camaro by a long shot. The Dodge Challenger is another American sports car that has rivalled the Mustang for generations. With its classic styling options, the Challenger has more appeal for those who like to reminisce about the early days of muscle and pony cars. The Challenger is available with a HEMI Hellcat V8 engine that delivers class-leading horsepower and torque. Nevertheless, the Mustang’s Launch Control and MagneRide Damping system are high-performance features that can’t be matched by the Challenger. 10 models offer plenty of options in the powertrain and digital technology. Multiple accident-mitigation features offer peace of mind even at highway speeds. Attractive exterior design options include flashy paint colors, hood and roof decals. The standard manual transmission system can be difficult to handle. Sport bucket seats with side bolsters can restrict lateral movement. Designed for only two passengers, the second row feels a bit confined. Darren Brode / Shutterstock, Inc.
© 2019 AnswerGuide. All Rights Reserved.